Another PAX West has come and gone and with it I am once again further renewed in my love of gaming. Before I get into my coverage of the convention as a whole, I wanted to touch on a few of the games that I felt were my favorite showings at the con. This list is not in any particular order but of all the sights and sounds I caught at PAX West this year, these are the titles that stuck out the most to me. For the first game on this list, let's talk about the forthcoming hero shooter from Warframe devs Digital Extremes. Titles like this ask the question, can a hero shooter still be successful in a post-Overwatch world? Most of games media have been critical of titles like Paladins and the dwindling playerbase of LawBreakers seem to point to Overwatch wholly controlling the market... but I didn't touch Overwatch once when I got home during this convention. 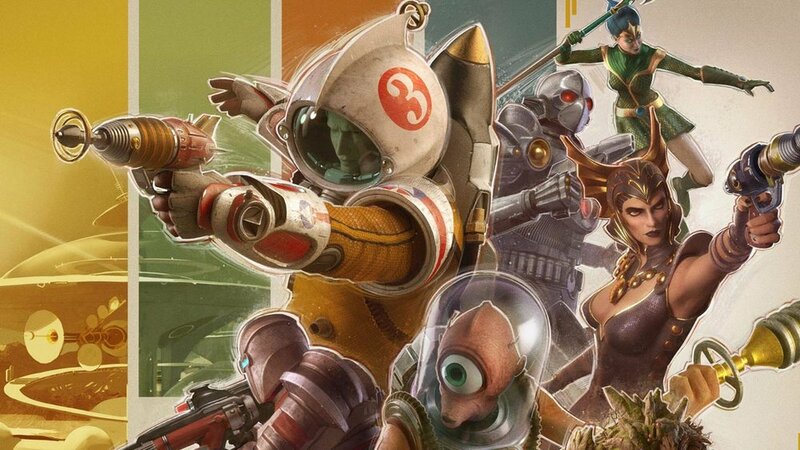 The Amazing Eternals takes the tried-and-true hero shooter genre and innovates while giving players a unique take on this particular type of gameplay. What drew me in initially was the game's golden-age of sci-fi aesthetic. From sepia toned visuals, old-timey laser pistols, and characters that feel like they were ripped right out of an Isaac Asimov novel. If the game had nothing else going for it, the aesthetic was great enough to beg a closer look. Character kits were unique and the game employs an internal collectible card game to further diversify your kit in battle. Three cards appear from your deck at any given time, drawing these cards places them at the bottom of the deck and offer a plethora of effects from immediate respawn to drawing more powerful weapons. Unlike Overwatch which places every player on an even playing field, The Amazing Eternals has heroes who can tear through the opposition if their individual deck is kitted out. The game's card system isn't new, Paladins employs a similar gameplay type (though their cards are by large passive), but with my time with The Amazing Eternals both on the show floor and at home... this feels like what Paladins should have been. I love a spooky experience... horror movies and especially survival horror games. There's this amazing rush you get when a jump scare unexpectedly gives you an out of body experience. Perception puts the player in the shoes of Cassie, a young woman investigating a haunted mansion... pretty much part-and-par for the course right? Oh... did I mention that Cassie is blind? That's right, you play a blind girl walking around a haunted mansion with your trusty cane at your side. Perception handles gameplay by giving Cassie the ability to “see” via echo-location... think that cheesy scene in the rain from the Daredevil film. As Cassie explores the haunted mansion, points of interest are highlighted in green to better navigate with the ability to tap your cane to “see” the world around you. When a jump-scare startles Cassie, the world turns red and vibrates violently to account for the jarring experience and increased heart-rate. Perception's ghost is truly something terrifying; called only the Presence, you draw its attention when Cassie taps her cane too much. The Presence is not killable and is more akin to the enemies from games like Outlast rather than Resident Evil. Perception is already available on PC, Xbox One, and PS4; what I played on was their forthcoming port to the Nintendo Switch... from what I know this will be the first horror game on Nintendo's console. Perception scared the crap out of me, after I think the fifth or sixth jump-scare I had to put the Switch down and just walk away. Perception is full of nope... but the best possible kind of nope. No this isn't PAX West 1993; Square Enix is bringing back one of my all-time favorite RPGs and plunging it firmly in the current gen space. Secret of Mana is a top-to-bottom remake of the 1993 Super Nintendo classic, coming to PS4, PSVita, and PC in February 2018. While most of my favorites from past PAX West events have been firmly placed in the indie space... this is hands down one of my most anticipated games coming from a AAA developer. Say what you will about Square Enix, and trust me there is a lot to say, but to give us Secret of Mana for a whole new generation to experience is a treat and one of the reasons I still keep coming back to Square Enix despite their lengthy development cycles and their failings. Gameplay felt familiar, going so far as to retain what made the game such a delight on the SNES while handily upgrading visuals and the soundtrack. 3D rendered models replace sprites, but the aesthetic stays the same. Much like how games like I Am Setsuna and Bravely Default (also Square Enix properties) took old school sensibilities as the core of their modern experience, this remake of Secret of Mana feels like it is headed that direction. I never got around to playing the first game which came out in 2014, but this sequel hooked me immediately during my demo. While I love my shooty-shooty punchy-punchy action games, my heart and soul belong to RPGs. I was one of those kids playing games during the golden era of NES and SNES games, action games felt vapid and lacked the deep lore and thrilling narrative an RPG has to offer. Now, even FPS games come packaged with deep narratives... something the genre sorely lacked in my younger days. 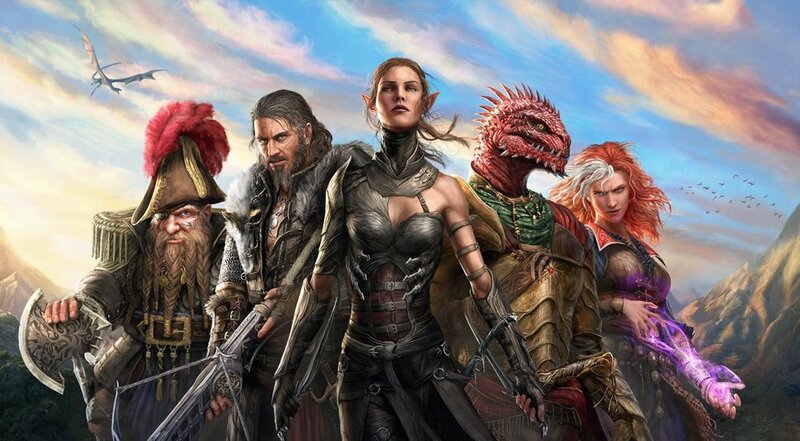 Divinity: Original Sin II is a top down/isometric RPG set in a rich high-fantasy world. This is your story... you pick your role, race, back story in a robust character editor. During my demo I picked an undead character, a sub-sect of the races already present with unique gameplay mechanics, and explored a decent chunk of the opening level. Combat felt methodical, tickling my tactics/RTS loving bone while simultaneously giving me the urge to jump into my favorite fantasy novel as an undead marauder. Fully voice-acted with a deep stable of allies you can recruit to your cause. While there are preset characters you can step into the role with, if you go the full RP route and create your own hero, these pre-made characters can show up as allies your player-character can recruit. I am so jazzed for this game, releasing this month, and wholly intend to visit the first game... which according to my meeting with the devs has an enhanced version available on Steam. What a difference a year (off) can make! Ever since Ezio first launched on the scene in Assassin's Creed 2, the franchise has been a yearly franchise that honestly hit over-exposure fatigue much like what currently is happening with the whole Call of Duty franchise. While the franchise has given us some amazing gems like Assassin's Creed: Black Flag and Assassin's Creed: Syndicate, there were times the series stumbled... I'm looking at you Assassin's Creed Unity. To be fair... Syndicate was very good, we gave it high marks in our review, but thankfully instead of giving fans of the series another Unity we instead got a bad movie (ugh) which means that Origins has to be good... right? I demoed the title on the new Xbox One X and traversing Egypt was gorgeous, I only was able to experience a tiny slice of the game but one thing that stood out to me was how huge this game was. Assassin's Creed games have consistently built huge worlds to parkour your hooded contract killer in, but this feels like it's going to be something special. Unfortunately I wasn't able to play the nautical combat the game is set to launch with... but with that as my favorite part of Assassin's Creed 3 and Black Flag, I can leave some things to launch. Overall, I am very optimistic that Origins will have more in common with Black Flag and Syndicate than it would with Unity. Personally I hope they keep with the every other year format... just please give us a better movie. These were my favorite showings from PAX West! I played a lot of games from the AAA devs to indie darlings. This list was actually pretty hard to narrow down to just five titles. I found myself heavily reflecting on what I played and what stood out the most to me. A few honorable mentions that ALMOST made the list and totally would have if this wasn't restricted to five: Dauntless (Phoenix Labs), Quake Champtions (Bethesda Softworks), Middle-Earth: Shadow of War (Monolith Productions), Monster Hunter World (Capcom), and Obduction (Cyan Worlds). A new fiscal year dawns and the games we're getting are going to be all kinds of awesome... now, somehow I'll need to figure out how to find the time to actually play everything.